Well known for the numerous roles interpreted along his career, Alfredo has grown (along with his vocal development) specially in the Italian repertoire, with critically acclaimed debuts in several Verdi roles such as: Stankar in “Stiffelio” ,Francesco Moor in "I masnadieri" (2015, 2017 Konzerthaus Berlin), Rodrigo in "Don Carlo" (since 2008 at Staatsoper Berlin), Ford in “Falstaff”(Staatsoper Berlin, Staatsoper Hamburg, Teatro Communale di Bologna) or Renato in "un Ballo in maschera" (since 2009 at Staatsoper Berlin). His interpretation of Giorgio Germont in "La traviata",debuted in 2006 (at the unter den Linden house) brought him to the Staatsoper Hamburg and the Tokyo National Theatre in 2015 where he sang the part in a production directed by Phillip Boussard and conducted by Yves Abel, later on 2016 debuting as Paolo Albiani in "Simone Boccanegra" with Placido Domingo in the main role and Daniel Barenboim in the pit. He also appeared as Scarpia in Puccini´s “Tosca” at Theater St Gallen in 2016, company with whom will debut the role of Hermann in Alfredo Catalani´s “Loreley” during the St.Galler Festspiele. He debuted as Valdeburgo/Leopoldo in Bellini's "La straniera", in 2015 where Edita Gruberova sang the female lead. Alfredo Daza started his vocal studies at the Puebla Conservatory in Puebla (Mexico) at the age of 12. Later he continued studying in the Mexico City Conservatory. 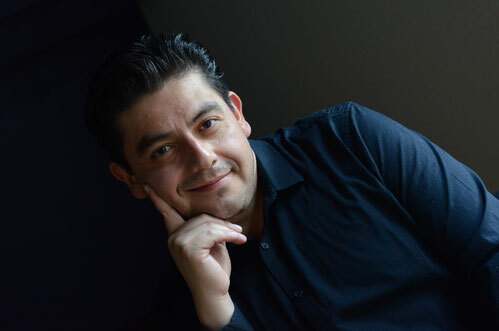 The Mexican baritone started his international career as an " Adler Fellow" in San Francisco Opera's world renown young artists program at the age of 21. Short after finishing this opera studio, he debuted in several theaters of North America and Europe. He sang Schaunard ("La Bohème"- Puccini) in the San Francisco Opera, Theatre de la Monnaie in Brussels (under Pappano) and with the Canadian Opera Company in Toronto. He made his debut as Valentin in Gounod's "Faust", conducted by Vladimir Jurowski at the Teatro Carlo Felice in Genua and as Dandini in "La Cenerentola" at the Teatro dell'Opera di Roma. In the Washington National Opera he sang Marcello in "La Bohème" and the title role of "il barbiere di Siviglia", which became one of his most celebrated roles. Daza performed as Marcello in a new production of La Bohème at the New York City Opera that was transmitted to American television in the series "Live from Lincoln Center". As Guglielmo in "cosi fan tutte" he toured Japan at the age of 20 (PMF), later made his debut with the same role with the Michigan Opera Theatre, the San Francisco Opera and later the " Linden" house. He has sung several parts at the Los Angeles Opera such as Figaro in "il barbiere di siviglia", Ping in "turandot" and Marcello in "la Bohème". Recently he came back to Los Angeles to sing the role of the new production "dulce rosa", after a novel by Isabel Allende. Conducted by Placido Domingo he sung the role of Tadeo Cespedes (2014) and will return for his debut as Zurga in Bizet´s “Pearlfishers” in 2017. Faithful to his interest insider repertoire debuted the role Sir Robert Cecil in the premiere of "Gloriana" by Benjamin Britten in Staatsoper Hamburg. Recordings include DVD of La Bohéme (as Marcello) with the New York City Opera (Kaniova-Villazon-Daza) for PBS Elisir d'amore DVD (Belcore) with the Glyden- bourne Festival (Siurina-Auty-Daza) for OPUS ARTE and with the "opera de Bellas Artes" (Villazon-Garza-Daza) for FONCA , the albums "Stolen Notes Verdi Arias (Parma Opera Ensemble, Berti-Meli-Massis-Daza ) and " Angel & Demon" Rimsky- Korsakov anniversary (Samuil - Daza) for MSM, and the DVD of Massenet's Manon (as Lescaut) with the Staatsoper Berlin (Barenboim, Netrebko- Villazon - Daza) for Deutsche Gramophone.